Harley-Davidson® 2019 Iron 883™ for sale in London. Blacked-Out Look - It’s the poster bike of the anti-chrome movement. You’ve got a black powder-coated 883cc engine with black rocker covers. Black on the throwback round air cleaner cover. Chopped fenders, to show off a little rubber and black front forks with gaiters to add a little old-school nostalgia. Street Inspired Paint - We created paint jobs with colours that look right against the backdrop of the urban grid, and don’t need a lot of maintenance. These are tough finishes, as mean as the meanest street. Low Seat & Slammed Suspension - The combination of a lowered front and rear suspension together with a low, narrow solo seat—just 760mm high—provides comfort and confidence for riders of all sizes and experience. The ride is responsive and plush, whether you're dodging urban potholes or out exploring the back roads. Tuck and Roll Seat - A solo seat that combines modern comfort with an authentic “tuck and roll” design inspired by the early days of the bobber. Machined 9-Spoke Wheels - Nine-spoke wheels that are black as night where the rim meets the rubber and set off by a more contemporary mechanical look machined into the spokes. 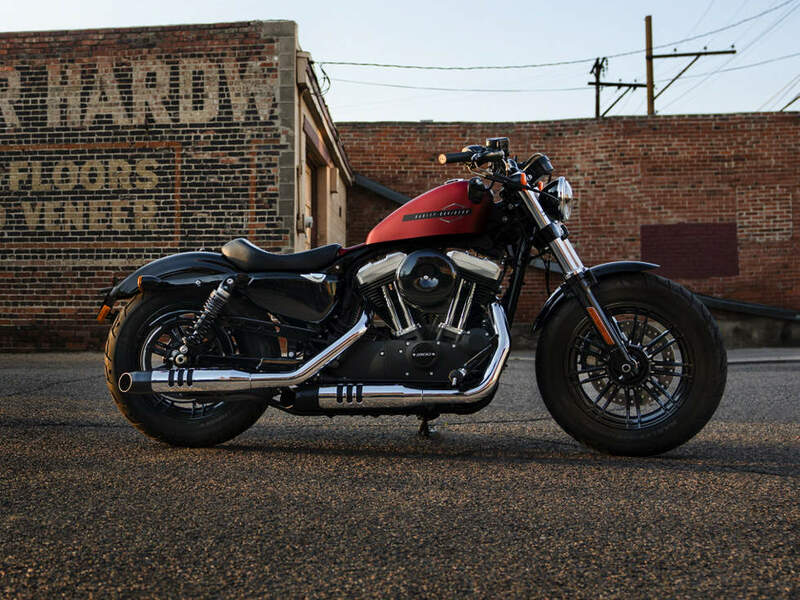 Drag-Style Handlebar - Born at the drag strip, the low-rise, slammed black drag-style handlebar is an old-school garage feature that puts you in a forward, aggressive riding position.